Brunel Engraving manufacture Sill Plates. The sill plates were manufactured from 316 grade stainless steel to prevent them from rusting. Cut to exact size and then deep engraved with a distinctive logo and additional information for all owners to see. 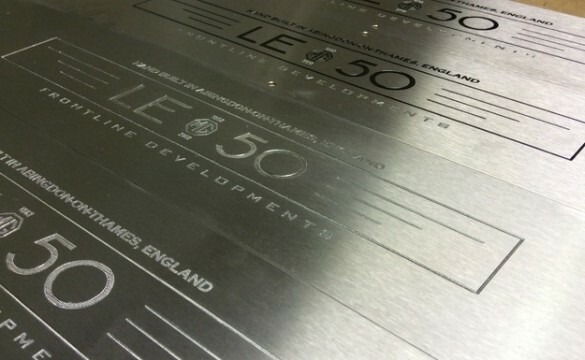 Please view our shot video displaying the production of stainless steel vehicle sill plates, deep engraved to the customers instructions.